Heavy rain (totál 36.0mm), heaviest durante la noche de domingo. Later becoming colder with a dusting of snow el domingo por la noche. Freeze-thaw conditions (max 7°C el sábado por la tarde, min 0°C el domingo por la noche). Wind will be generally light. Light rain (totál 5.0mm), mostly falling el miércoles por la mañana. Very mild (max 16°C el jueves por la tarde, min 2°C el martes por la noche). Wind will be generally light. La tabla anterior muestra el pronóstico de tiempo para Drahobrat en la altitud específica de 1353 m. Nuestros modelos meteorológicos sofisticados permiten prever pronósticos para la cumbre, la mitad y la base de Drahobrat. Para aceder a los pronósticos de tiempo a otras alturas, pinche en la navegación en la parte superior de la tabla. Para una visión general, consulte el Mapa meteorológico de Ukraine. 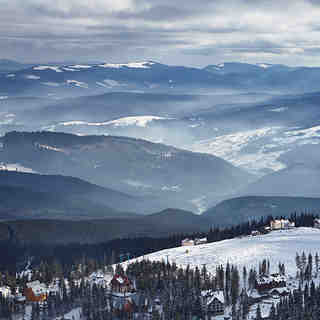 The most extreme ski resort in Ukraine. The dangerous and steep "road" is shocking, but is the compulsory part of try extreme skiing. Although the infrastructure is very poor, it has been steadily improving for recent couple of years. But all drawbacks of unprepared slopes, ancient lifts and situation when you are completely cut off the civilized world is offset by formidable off-piste skiing. The area at the far right side in the trees is almost the best experience I've ever had. It is true, that many people don't find classic ski resort they expected for and dislike this place, but true extreme lovers will be in love with Dragobrat for many years. 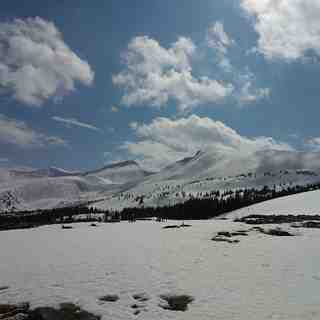 The beautiful nature and breathtaking landscapes are also crucial part of the true spirit you will never find anywhere.